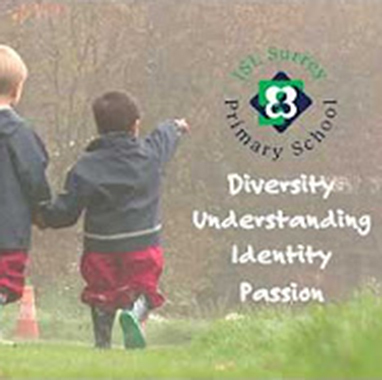 ISL Surrey is an award-winning, welcoming and friendly, independent, non-selective, co-educational school for children aged from two to eleven years, based in Woking, Surrey. We serve both the local community as well as international families. We know that well-being is at the heart of a healthy, successful life and each child is exceptionally well cared for; in our classrooms; in extracurricular activities and via our home-from-home, wrap-around childcare programme. In our unique environment, learning is truly personalised and tailored to a child's individual needs. We offer our children challenging experiences beyond the classroom, not only in our extensive outdoor spaces and Forest School, but also within the local community. Furthermore, we value the unique cultural and linguistic identities of all of our students and celebrate diversity as a tool that builds better classrooms. This is at the heart of our Global Thinking mindset and we welcome local families alongside families from across the world. We look to the future, and we believe in preparing our students not just for secondary school, but by giving them the necessary tools they will need on their journey, they will also be prepared for life in our ever-changing, modern world. In our care, each student develops true self confidence and self-belief and is able to reach their full potential. This is just a very small snapshot of who we are. To find out more you can browse the links below, but we recommend you visit us to be able to really appreciate the ISL Surrey way. We personalise learning and nurture the talents of each and every child.